The Breakfast Club | "Northern Crossings"
Meals here have been an experience. This is one of the first I had and it took a while to figure out what it was. 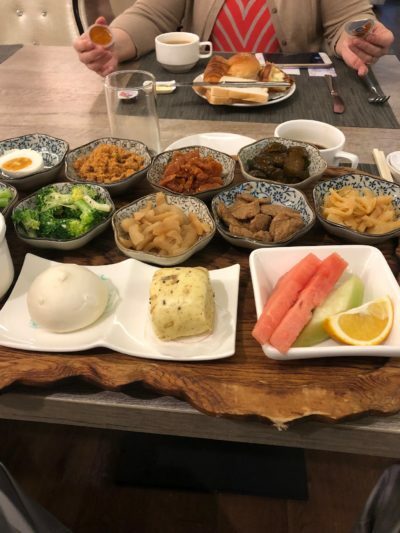 Hard boiled egg, some kind of vegetable, some kind of vegetable, pickles, asparagus, broccoli, some kind vegetable, something I thought was mystery meat but which turned out to be wheat gluten, noodles, two kinds of bread and fruit. Yes I was hungry an hour later, but it was good. The LWML Does It Again.